Canadian Grand Prix Formula 1 polesitter Lewis Hamilton said his qualifying laps “weren’t that great” after he edged out Nico Rosberg and Sebastian Vettel. The reigning world champion finished just 0.062s ahead of Rosberg after the first run and failed to improve on his second run as he lost time in the middle sector. 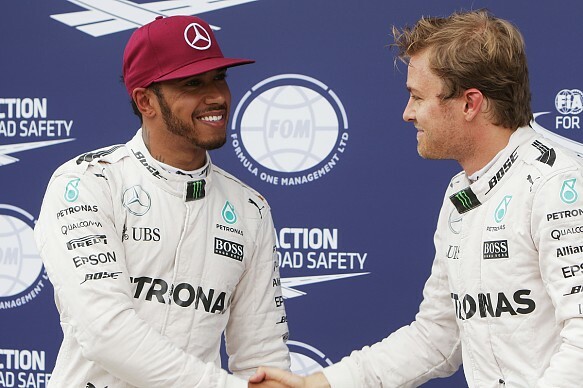 “Qualifying wasn’t great for me in terms of laps,” said Hamilton. “My pole lap was definitely at the lower end of pole laps I’ve had. As that is the fact, I’m pretty happy I’m still on pole. Rosberg said he was pleased with his first run but conceded he pushed too hard in the second, where he made a mistake at Turn 1. “The first lap in Q3 was good, but not quite enough to beat Lewis,” he said. “The next one tried to pull out of bag and it didn’t work out. Vettel, who lost time at the hairpin on his final run to finish 0.178s adrift in third, felt he had the speed to get pole. “Going into qualifying, I thought it [pole] was possible,” said the German, whose Ferrari team is running an updated turbocharger this weekend. “As a driver, you always feel there is a bit more in it. The last lap, I was happy with it in general. “I was maybe a bit greedy out of [Turn] 10 and I was not greedy enough into Turn 6. I wanted to get below 1m13s as I knew it would be close and I did that but only by a hundredth.